Two weeks ago we had another weekend camping in Suffolk. This time we camped at a nice site in Hollesley, near Woodbridge. Lovely site, with room for about 20 caravans and a similar number of tents. Good, clean toilets and dog-friendly for those who have them. We drove up to Aldeburgh on the Saturday morning to be greeted by the customary blustery day that seems to greet most of our camping expeditions. The sun was out though and it wasn’t raining so we had a nice walk along the sea-front. After a spot of lunch from the excellent fish & chip shop in the town centre, we drove up to Sizewell further up the coast. Sizewell is best known for the two nuclear power plants there, Sizewell A and B. These two buildings loom over the beach, dominating the skyline, but not really detracting from the lovely empty beach at Sizewell. You can walk quite close to the two buildings from the beach, and there seems to a warm water outlet just offshore which was surrounded by fishing seagulls when we visited. Sizewell B is instantly recognisable by the giant “golfball” which covers the reactor. 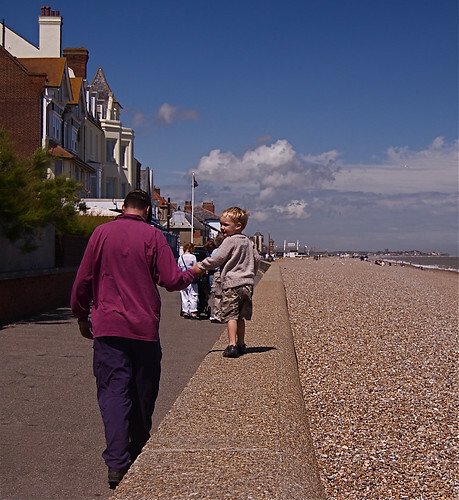 The beach area is part of the East Anglia Area of Outstanding Natural Beauty (AONB) and lives up the classification. 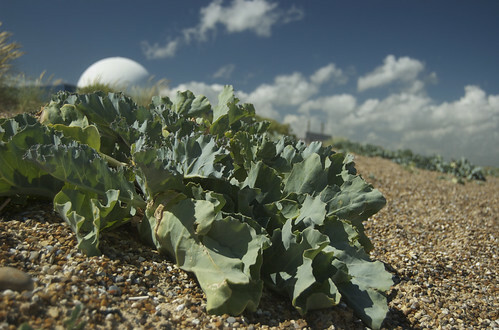 The beach is a combination of shingle and sand with the dunes playing home to Sea-Kale, a rare plant which is protected under the Wildlife & Countryside Act (1981). After a very pleasant walk along the beach, we went back to the campsite, eating at the local pub in Hollesley before turning in for the night. Sunday morning was bright, but windy. We packed up the tent and drove to nearby Orford. Orford is really pretty, with a harbour, castle and Orford Ness which is an island which used to house a secret military research base. 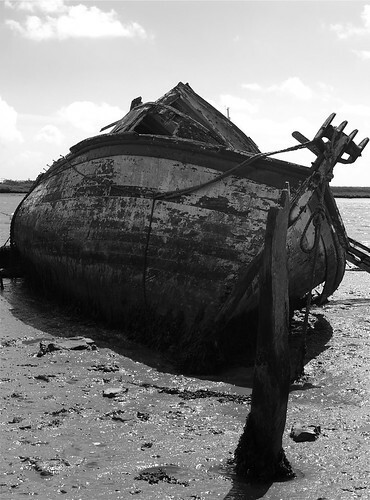 The Ness isn’t accessible on a Sunday as the ferry doesn’t run, so we made do with a walk along the shore of the estuary, past a number of decaying boats sitting in the silted-up estuary. Heading back into the village we stopped at The Jolly Sailor pub for lunch. I had a really good ploughman’s with a huge chunk of cheese, pickled onion and a good chunk of pork pie. One of the best ploughman’s I’ve had anywhere! 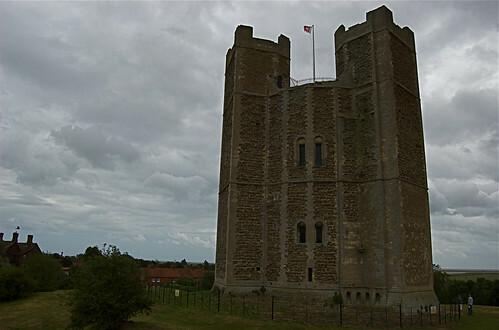 Finally, we went for a walk around Orford castle, though the strong wind made it difficult to walk around the more exposed parts of the earthworks. The castle is close to the hotel owned by Ruth Watson, who starred in the first few series of “The Hotel Inspector” on TV. After that it was time for the journey home. It rained pretty much all the way, but that didn’t really matter as the rain had held off while we were camping. More photos of Aldeburgh, Sizewell and Orford.